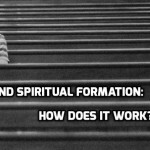 The theology of Spiritual Formation sounds great on paper, but it is focused on the wrong target, seeks the wrong kind of change and misses the mark on how disciplines work. 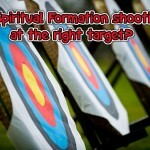 The biblical picture of prayer is not that it is a spiritual discipline that I use to reach a higher spiritual level. Rather prayer is an unavoidable mandatory battlefield in the war of faith. 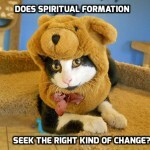 Not only does the theology of spiritual formation aim at the wrong target, spiritual formation seeks the wrong kind of change. While spiritual disciplines focus on success at outward righteous behavior, the Bible teaches that the goal of spiritual maturity is a strong unshakeable faith.